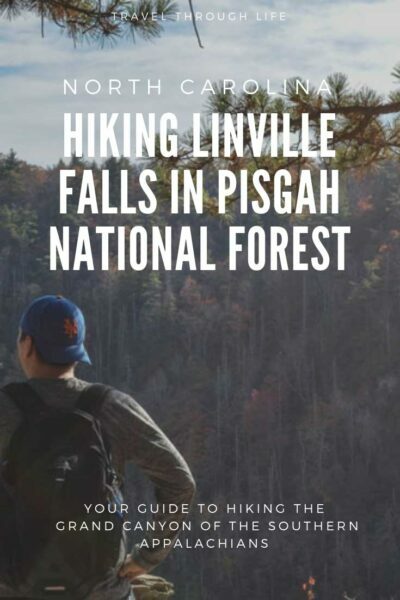 This article about hiking Linville Falls was originally created on September 4, 2017. It has been maintained and updated (as of October 1, 2018) to reflect current viewpoints and travel trends in our blog. 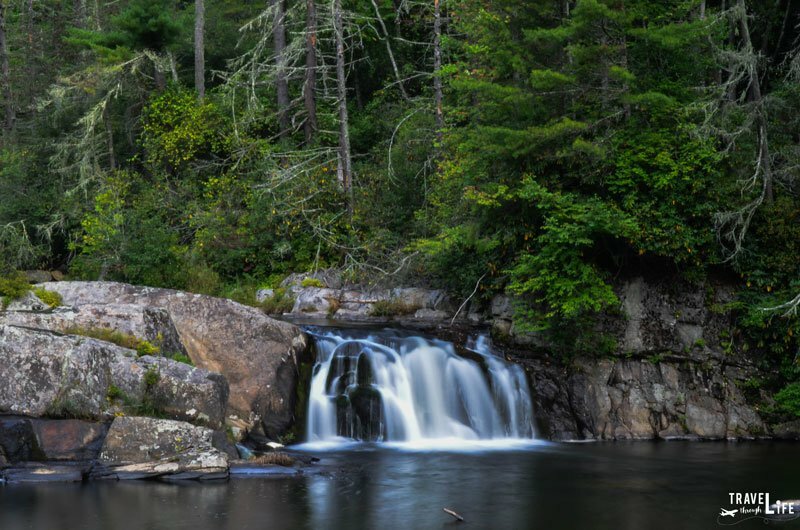 Fun Fact #1: Linville Falls are known to have the highest volume on the northern edge of the Blue Ridge Mountains. Long before people like us came to stare at them, the falls were supposedly used by Native Americans to execute prisoners. 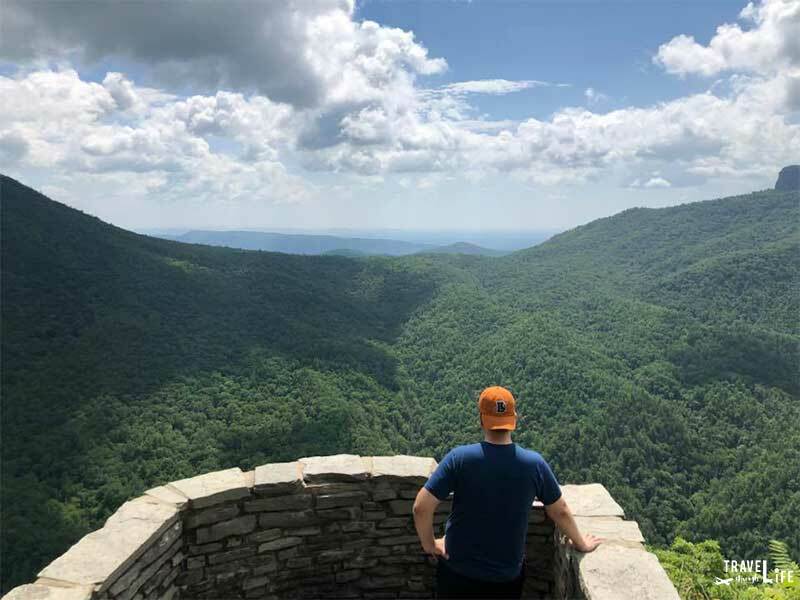 The waters here are very dangerous and every year, the Blue Ridge Parkway and other National Park officials will release a statement warning people to stay out of the water. 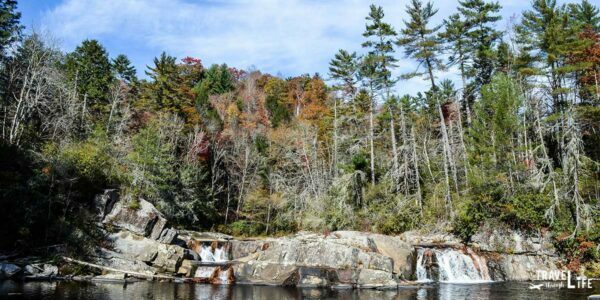 Long story short, just stand back and don’t give in to the temptation of jumping into Linville Falls. 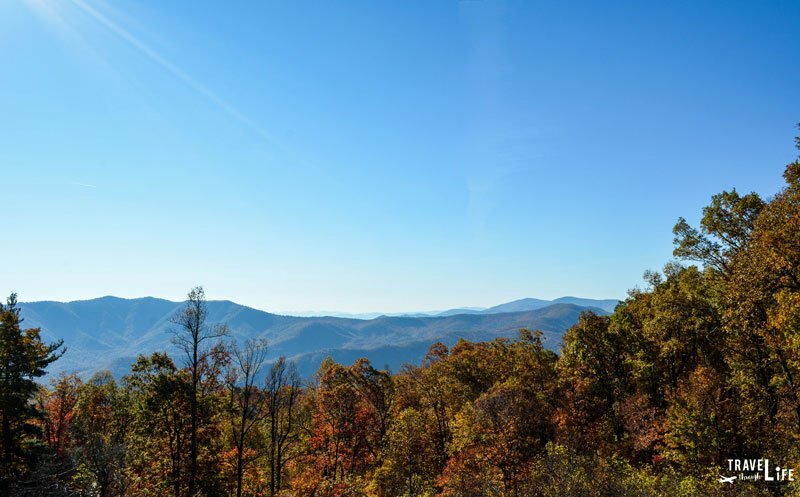 We’re partial to Bear Den, but there are more awesome places to stay in the mountains. 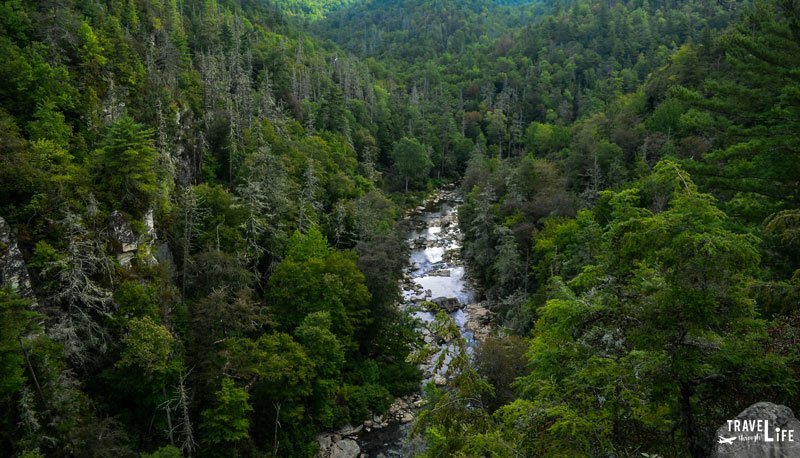 We mentioned Brevard, but fun North Carolina spots like Asheville, Blowing Rock, and Winston-Salem are also within a couple of hours from Linville Falls. 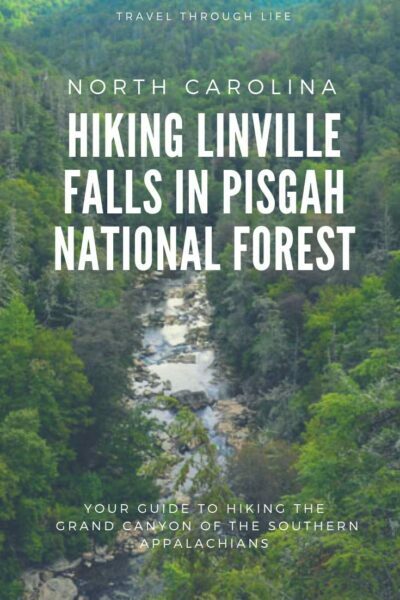 As I wrote in the beginning, the falls are a part of Linville Gorge Wilderness. There are some beautiful viewpoints, including Wiseman’s View, that you should definitely check out. A lot of people come to enjoy rock climbing, hunting, and fishing. Hiking in the wilderness is different from the well-marked trails at most other parks. Linville Caverns are also within earshot of the falls and are North Carolina’s only ones that are open for tours. So what do you think? 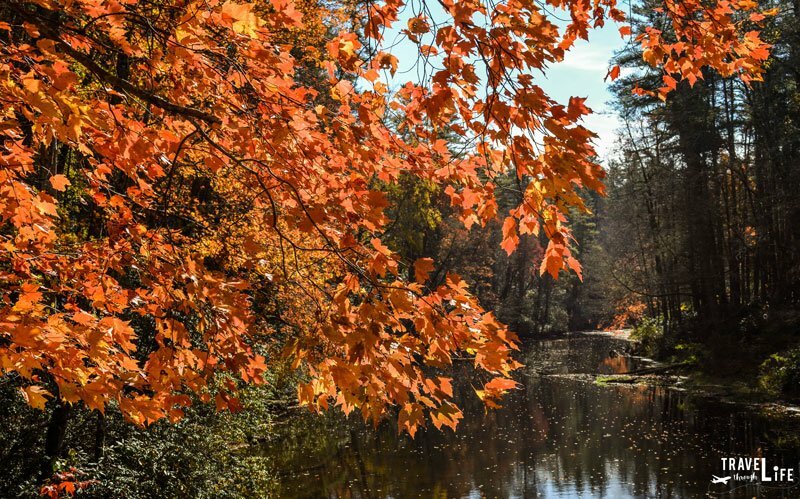 I’m guessing you know that we’re pretty smitten with Linville Falls, but what about you? Do you think this is a place worth visiting? 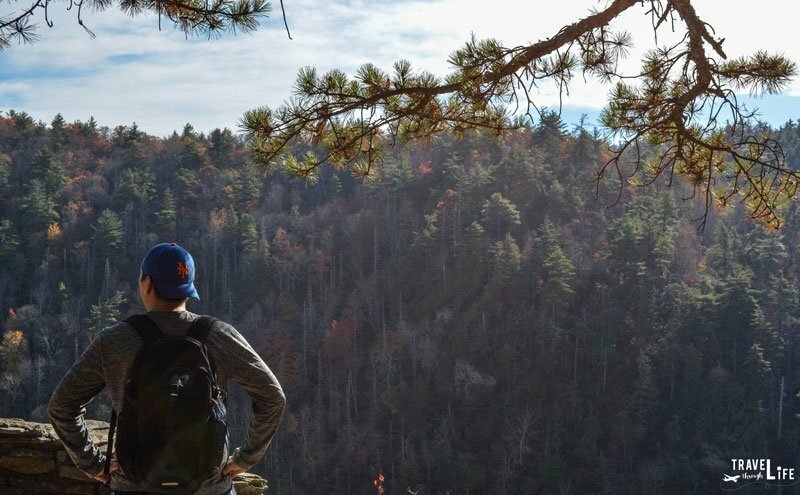 If you’ve ever been or want to visit Linville Falls, we’d love to read your thoughts in the comments section below.